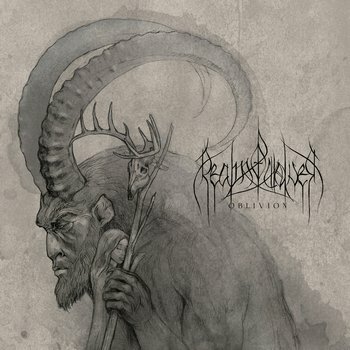 We at DR have sung the praises of Realm of Wolves for their Shores of Nothingness EP earlier this year, and the band has already returned with their first full-length album, Oblivion. So naturally we are stoked to be able to be hosting a stream of the release. Set to be released on October 19 through Casus Belli Musica and Beverina, Oblivion continues to bring the band into a gorgeous mixture of gloomy and melodic black metal. If you like what you hear, you can order the album HERE. You can also check out the band’s previous EP by clicking on the Bandcamp widget at the bottom of the page. Being long observant to band leader vvildr’s material (vvilderness, Release the Long Ships), the addition of two members of Silent Island to the fold gives the music a bit more fleshed-out vibe to Oblivion. But it does share some distinctive similarities when you listen – the epic, cold yet striking glow of the music is something vvidlr always seems to perfectly capture. The sense of isolation and yearning is palpable, but there’s still something beautiful underneath. Some absolutely soaring passages (“Old Roots” immediately comes to mind) give the album an eerie warmth to battle the darkness within. While the instrumental tracks (“Translucent Stones” and “Cascadia”) capture the imagination with ease, the poignant lyrics and rasped vocals of songs like “Northern Wind” and “Ignifer” further enrich the vibe and allow things to go in a more blastbeat-friendly direction when called upon. All in all it’s a fantastic album to take in the fall with – the darkening of the days and color-changes abound syncing exceptionally well with Realm of Wolves’ musical vision.